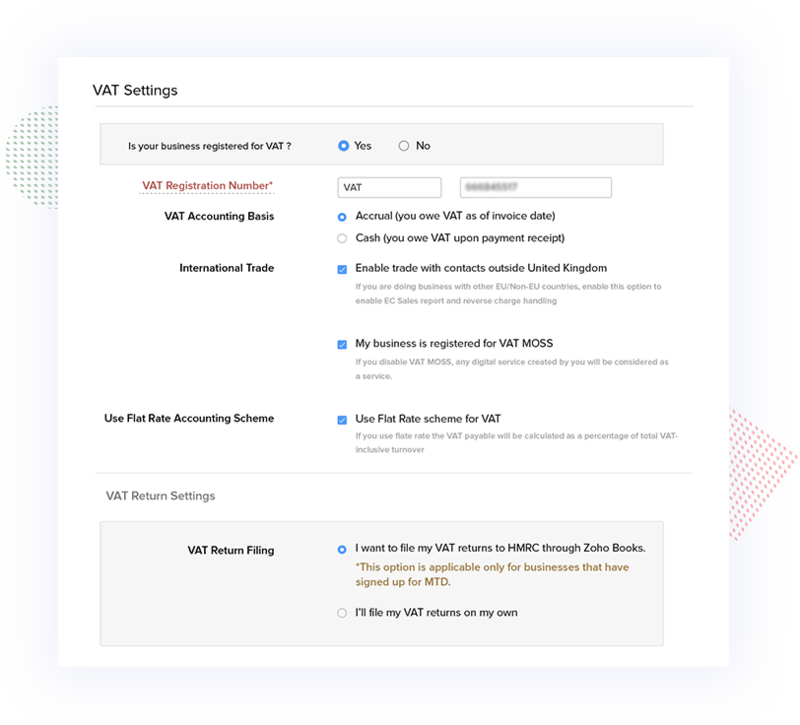 Making Tax Digital requires businesses to file VAT returns online using software that complies with HMRC mandates. If you are looking for a software that is compatible with HMRC, look no further than Zoho Books. Zoho Books makes accounting and VAT filing easy. 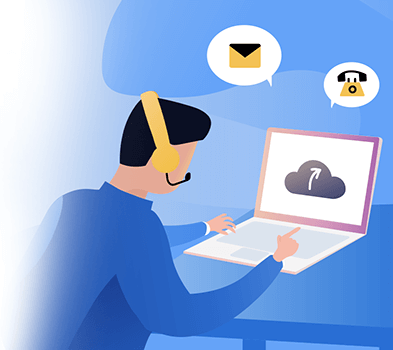 MTD requires businesses to maintain digital records of their income and expenses, and Zoho Books brings the cloud in to simplify the equation. From keeping tabs on your expenses to generating business reports, manage your bookkeeping from anywhere. It just takes a few clicks to get your account up and running — all you have to do is choose the option to directly file returns through Zoho Books. Whether your business turnover is above the VAT threshold or below, Zoho Books has got your accounting covered. Zoho Books lets you collaborate and work better with your team using role-based access. 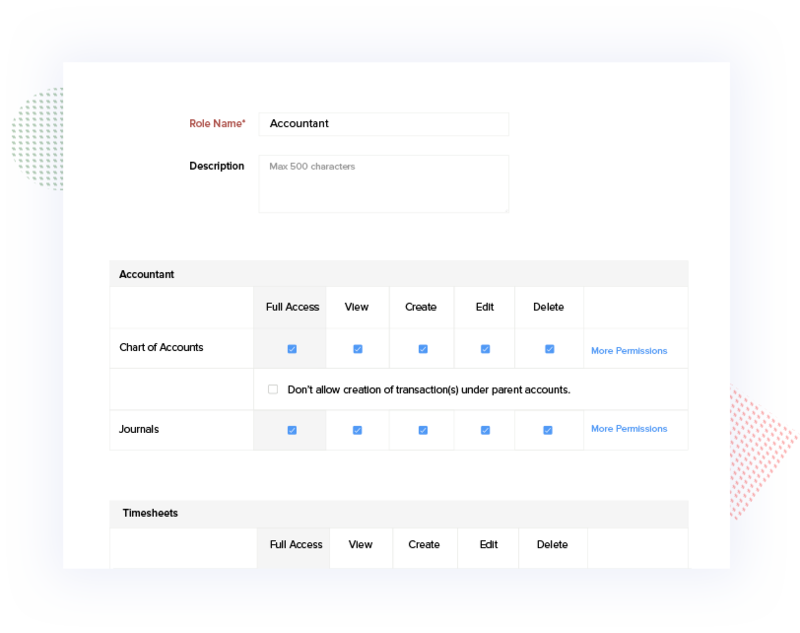 Once your account is set up, you can let your accountant manage your taxes and accounts as a user to Zoho Books, at no additional cost. 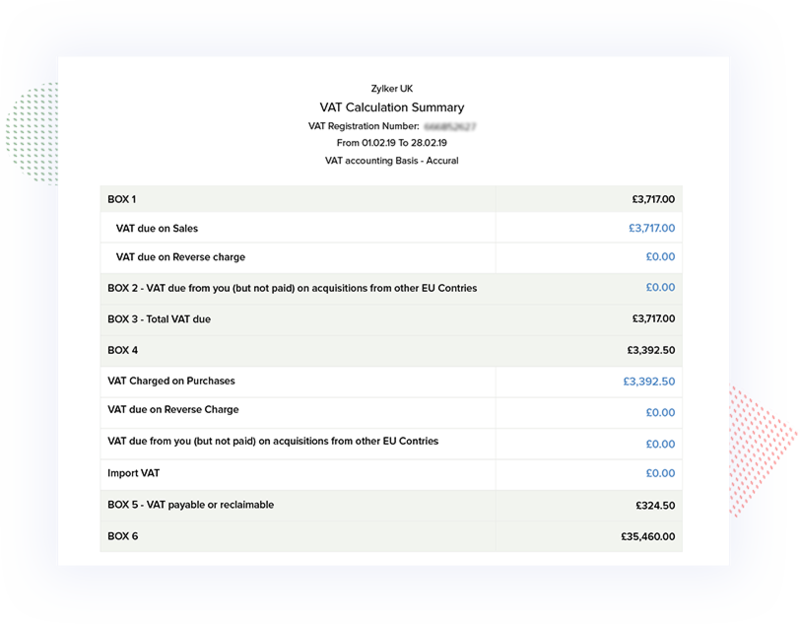 Zoho Books can automatically prepare HMRC compliant VAT Return report for your business based on your sales and purchase transactions. You can also validate and edit your returns to ensure that the reports have captured all the transactions required. 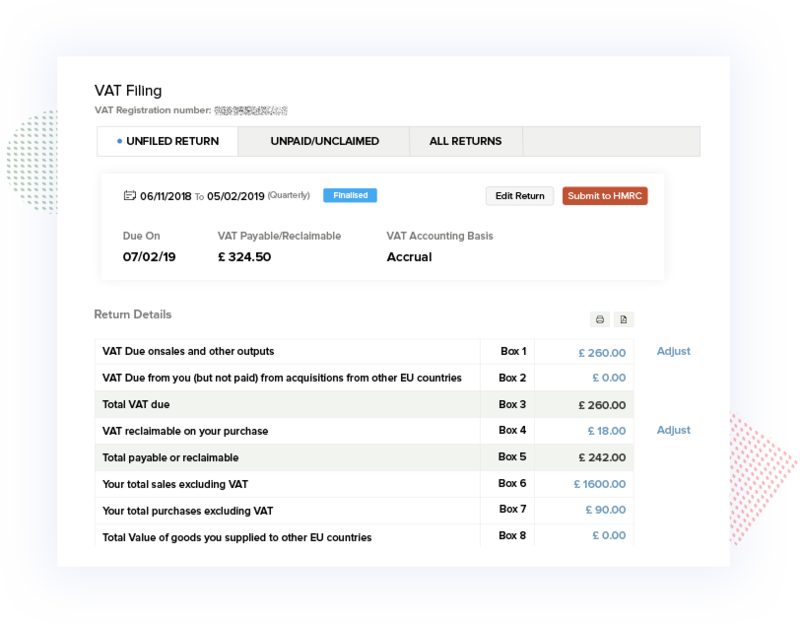 Submitting your VAT returns to HMRC is easier done than said with Zoho Books. From reviewing and finalising your returns to submitting them to the HMRC portal, Zoho Books makes your transition into MTD as smooth as possible. Need help figuring out a step or two? Our support team understands that switching from pen-and-paper or spreadsheet accounting to new software can be difficult. If you need help along the way, support is just an email, chat, or phone call away.